Did he learn nothing from Khir Toyo's case? TTDI, 30 June: When they charged Selangor Menteri Besar Khir Toyo in 2010 over corruption charges related to the purchase of his RM3.5 million property, I hardly posted anything on this blog. My reasoning was simple: I believed this country of ours had a working justice system that must be alowed to proceed with as little hindrance as possible in order to let the truth prevail. The relevant authorities, after a lengthy investigation into allegations made by Khir's political foes, said there was sufficient evidence to charge the Umno leader. So they took him to court and charged him. Me, I did not take Khir as a corrupt politician. I had known Khir Toyo personally ever since we crossed swords (or, rather, my pen - I was editor of the Malay Mail then - against his sword) over the UKRC football field issue in 2003. But the court found him guilty as charged and sent him to jail. I have also known Lim Guan Eng personally. Until he became the Chief Minister of Penang in 2008, and especially during my blogging-against-Pak Lah days, we were almost friends. He would text me each time my own case went to trial (NSTP and some individuals close to Pak Lah had sued me for defamation in 2007; the case dragged for nearly 5 years) to wish me luck. The text messages stopped following the DAP's unprecedented wins in the 2008 general elections. 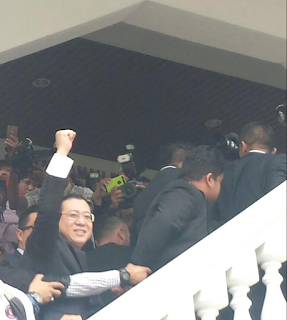 Later, Guan Eng the Penang Chief Minister would go on to become very intimate with one of the plaintiffs in my case. I took offence, of course, but I didn't take Lim Guan Eng as a corrupt politician. But what did I know, right? After months of probing the allegations made by Guan Eng's political foes, the same authorities that took Khir down have found enough evidence to charge the Penang CM this morning with two counts of corruption. Khir had the best lawyers to defend him. Guan Eng, similarly, will engage the best of the best to prove his innocence. I wish I could reciprocate, after all these years, and send him an "All the Best" text but I don't keep his number anymore. So I shall use this posting to wish Lim Guan Eng, Good luck! 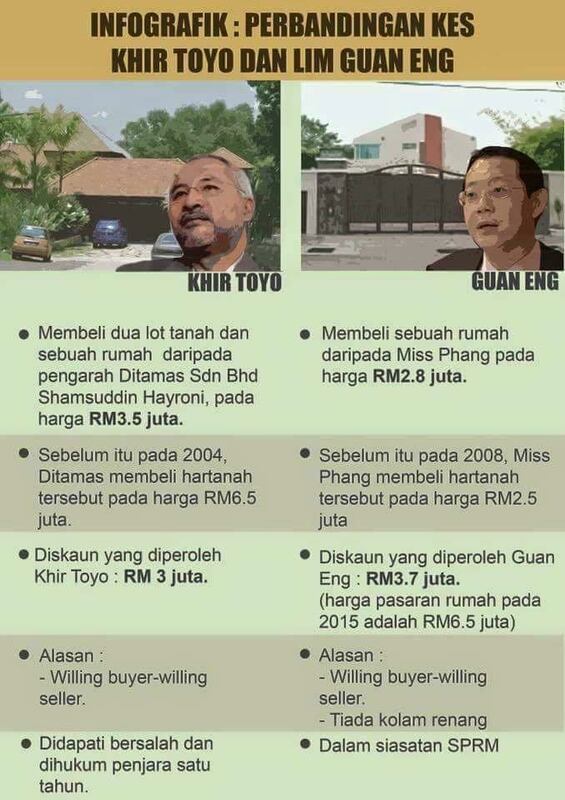 Seeing how similar his and Khir's cases are, plenty of it may not even be enough.